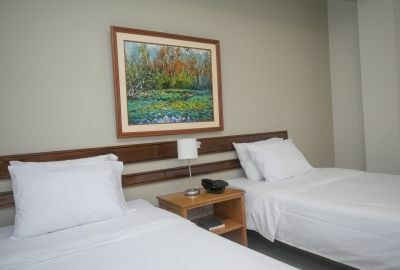 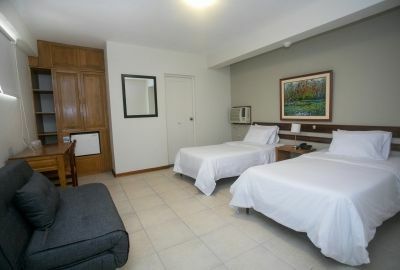 Air conditioned spacious rooms, simple but pleasant with the necessary comforts. All triple rooms have 32-inch LED TV with cable service, Safe, frigobar, telephone line , Table and desk chair, Daily maid service. 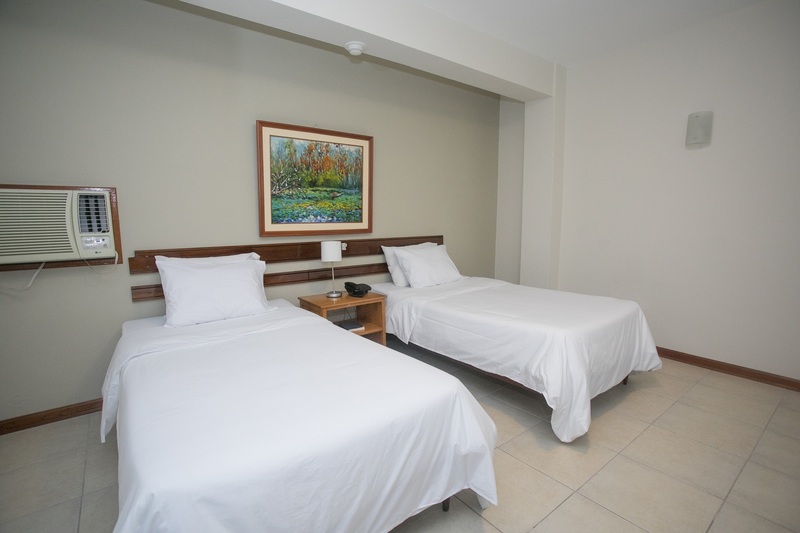 Private bathrooms with hot water, white cotton towels, soaps and shampoo.